1. 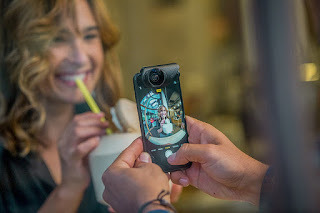 The world's most-aswarded mobile lens, olloclip has been issued over 100 patents worldwide and recognized for class-leading design and technology by the likes of mashable, Wired, National Geographic and Travel + Leisure. 2. 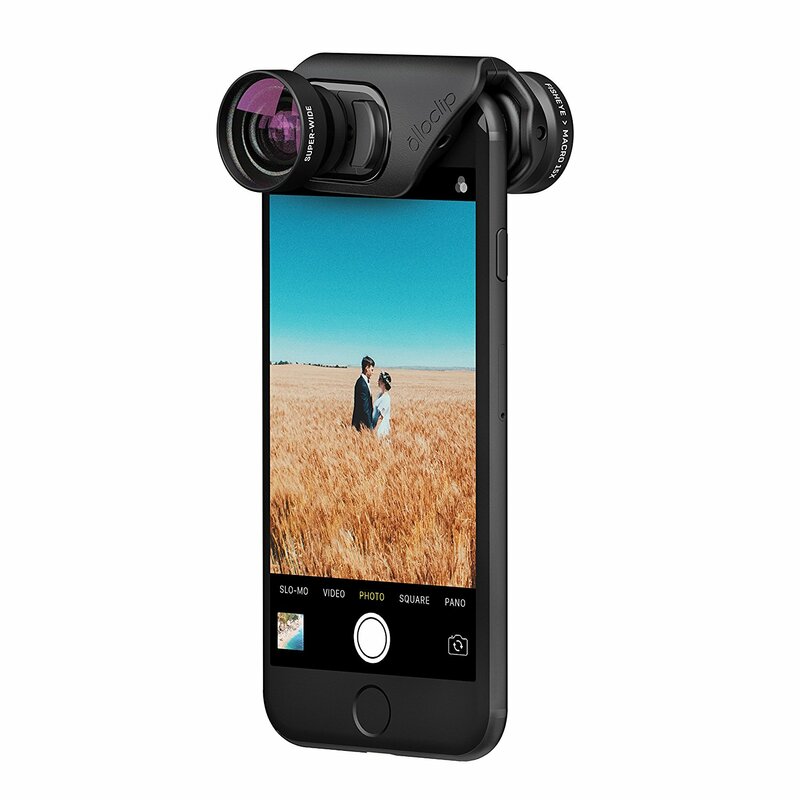 Attaches instantly over your device's FRONT & REAR cameras for perfect optical alignment - without the need for additional parts like a bulky case or glue on bracket mount. 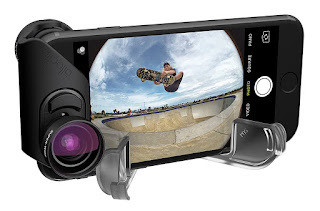 This is Not a cheap clip - on plastic lens. 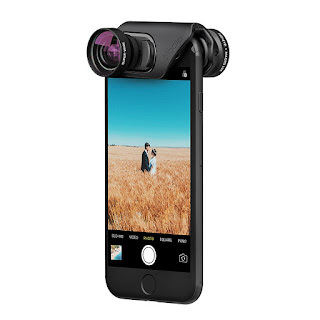 included in Box: Core Lens Set, iPhone 8/7 clip + pendent stand, iPhone 8/7 Plus clip + pendant stand, lens caps, microfiber cloth. 3. 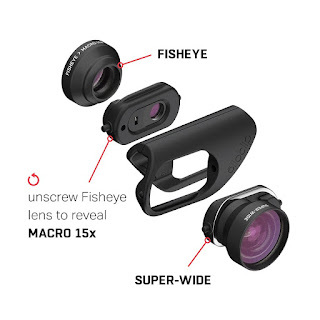 FLSHEYE : Creative freedom through a unique 180 Degree spherical effect with endless possibilities. Great for 360 Degree VR shots of Landscapes, portraits and even group selfies on the front Face Time camera. 4. SUPER-WIDE (120 Degree field-of-view): Advanced 4-element glass optics deliver almost double the field - of - view to capture more landscapes and more friends with maximum sharpness and minimal distortion. ideal for panoramic scenery and tight interior spaces.